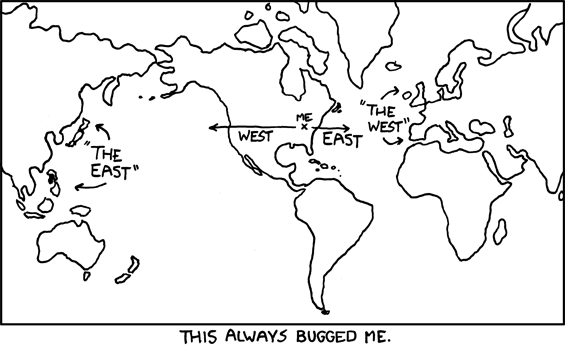 East and West (via xkcd.com). This make me chuckle and for that, I am very grateful. And if you go to the site and hover over the image for a few seconds, you’ll get a bonus joke!